The MLL Mediterranean Bay Hotel is a four star Adult only hotel located on the Arenal on the west coast of Mallorca. 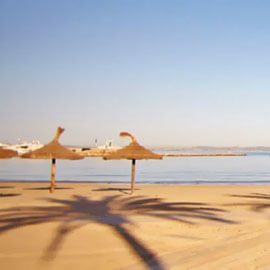 One of the main characteristics of the MLL Mediterranean Bay hotel is its proximity to the beach. 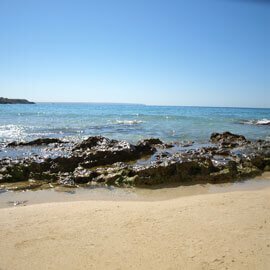 It is only 100 metres from Playa de Palma. Another advantage of the hotel's privileged location is that it is only ten minutes from the capital, Palma. In addition, from the vicinity of the hotel you can easily reach the city centre by public transport. The hotel has all the facilities to offer a service only fully satisfactory adults that exceeds the expectations of customers. It has an outdoor swimming pool with Balinese beds overlooking the bay, with a full service including breakfast, lunch and dinner with buffet showcooking, snack bar, various drinks until 23:00h in the Bar Lounge. It also has a Jacuzzi and Sauna to relax and escape from the daily routine. In the restaurant of the Mediterranean Bay hotel you will be able to taste a great variety of international and typical Mallorcan food. A place where you can enjoy authentic Mediterranean gastronomy. The hotel only adults in the Arenal has seven different typologies with different categories, services and facilities. From the Standard Single room to the Superior Plus room. All rooms have free Wi-Fi, minibar, hydro-massage shower, air conditioning, satellite TV, amenities... They have a warm, cozy and modern decoration that will make you feel at home in your holidays in Mallorca. The ideal accommodation for a four-star hotel only adults in the Arenal. Everything you need to escape from routine, daily stress and fully enjoy a holiday only adults in Mallorca. El Arenal is one of the most touristic areas of Mallorca and receives the largest influx of tourism in the summer months of the whole island. The predominant tourism in the area is of German origin due to the large number of establishments and restaurants dedicated to this type of public. It is located just five minutes by car from the airport and just fifteen minutes by public transport from it. 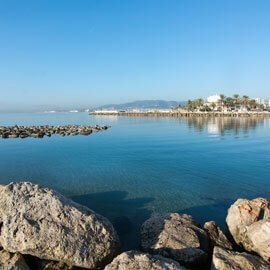 It is also only ten kilometres from Palma, the capital of Mallorca. Undoubtedly the perfect location to enjoy a full holiday on the island. Due to the great tourist affluence there are more and more companies that establish themselves in this location for the realization of several activities of entertainment and leisure of the island. It is one of the most popular destinations on Mallorca for water sports such as paddle surfing, windsurfing, kayaking, diving, sailing and many more sports. The ideal place for lovers of the sea. Another of the most common activities in the Arenal is cycling tourism. The ideal place to enjoy cycling in Mallorca. El Arenal has a great hotel infrastructure to be able to face the great amount of tourist demand that it receives every year. Especially in the summer months. However if you are looking for an excellent service, in an ideal location to enjoy a perfect holiday in Mallorca, in a hotel only adults, MLL Mediterranean Bay is your best option. If you come by car from the airport you must take the motorway to Llucmajor. Take exit 13 towards El Arenal. Once you have taken the exit, you will arrive at a roundabout where you must take the second exit and go straight on until you reach a second roundabout where you must take the first exit. Continue straight on until you reach Calle San Bartolomé and then turn left. Continue straight on until you reach the hotel. If you come by taxi from the airport, you can take one at the arrivals terminal, right at the exit. Tell him to go to the Arenal and stay at the MLL Mediterranean Bay Hotel. Hotel for adults only in the Arenal. You can also get there by public transport. If you are coming from the airport you can take EMT line 21 which will take you directly from the airport to Arenal. You will have to get off at the Europa stop which will leave you just a few minutes walk to the MLL Mediterranean Bay hotel. You can also take other EMT lines that pass through the Arenal and drop you off near the hotel. Some of the bus lines that pass through the sandbank are lines 15, 21, 23, 25 and 31 with different routes. And if you prefer, you can also request the direct transfer service from the airport to the hotel. All you have to do is contact us and ask for it. We will contact you and give you all the necessary information.